"A front side ski that’s quick and responsive, designed to slice and dice groomers, create arcs of perfection, and handle just about any trail the mountain has to offer. 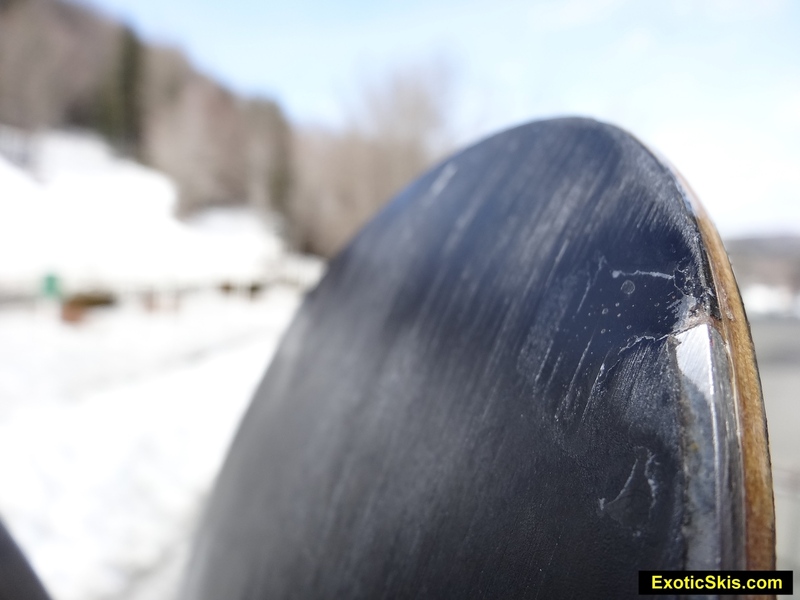 A nice flex and torsionally firm core to aid carving in all conditions." The North Eastern model Steve created is a really well executed, classic frontside cambered racecarver with a slalom bias. It is designed to be a specialty frontside carving tool for hardpack, and it does that beautifully, auto-carving nicely as soon as you tip the ski up on edge, biting deeper and stronger as you apply pressure along its length. 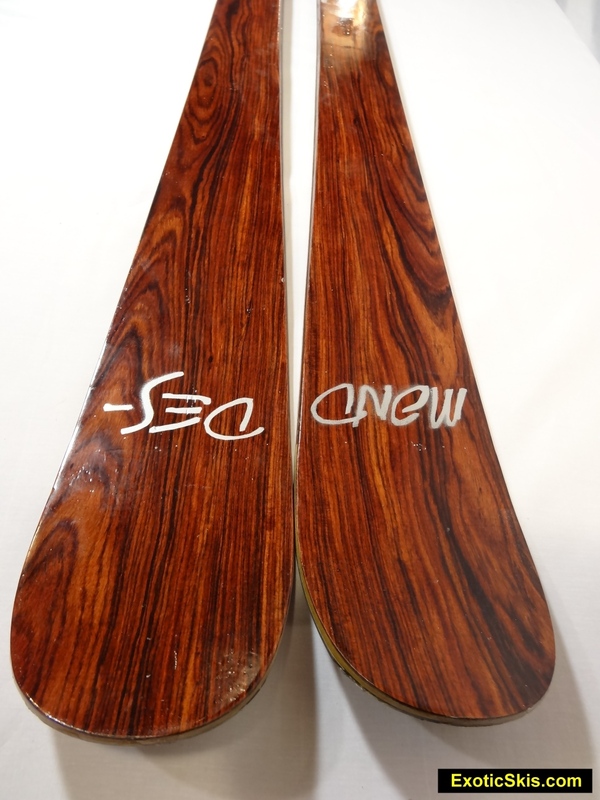 The 72mm waist is precise and well balanced against the forebody and tail flex of the ski. Turn initiation is easy and automatic without serious effort from the pilot, and the ski loves to be in its designed radius envelope. The "North Eastern" grabs onto packed powder, hardpack or boilerplate with authority and delivers an elegant carved turn experience with a nicely controlled, yet very sporty acceleration. Technical carving enthusiasts and instructors who haunt hardpack will love this ski, while racers will find it a bit mellow for competition. Vibration dampening is excellent, and it has a failry high top speed limit considering its narrow waist dimensions. Great feedback and communication underfoot, yet refined and never nervous. Some people may want more snappy ejection out of the turns, but this is a quietly authoritative carver with great manners and feel. Performance is every bit as good as big-brand racecarvers, if not better than some, yet it comes in a gorgeous wood veneer topsheet. We experienced a bit of topsheet chippng in the tail after a few weeks useage since it does not have a tail protector. Impressive and elegant performance. 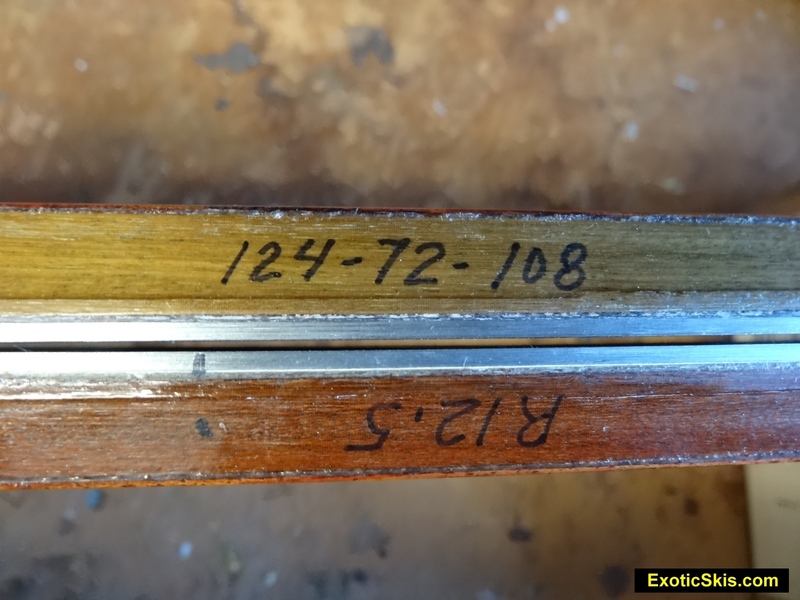 If Steve can deliver a nicer topcoat finish and watch his assembly and finish quality at the edge joints, he has a compelling reason for people to buy their carving skis from a small company instead of the big-10 brands. When you can buy a ski like this from a guy you can call directly, why spend your money on a big corporate-brand ski? 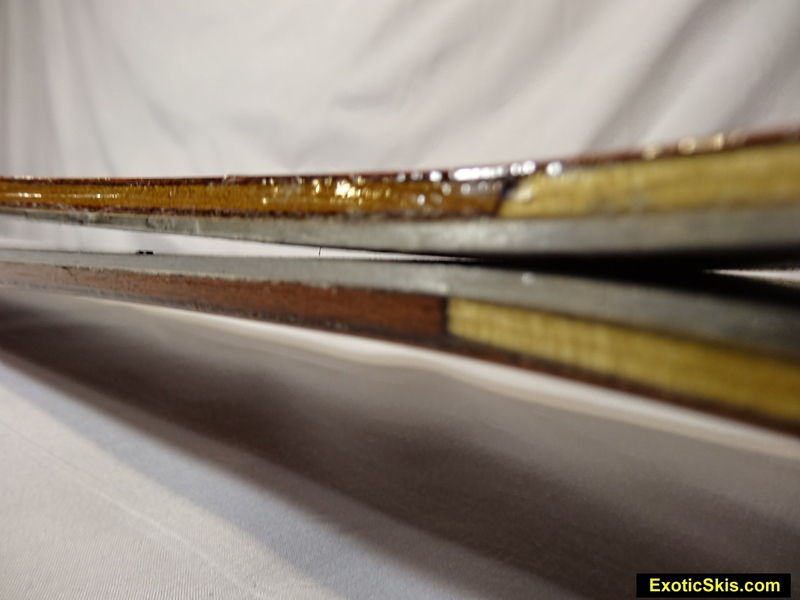 Carbon fiber stringers or carbon sheet replacement for fiberglass available at extra cost. The North Eastern model we received for testing from Steve Desmond had a beautiful woodgrain topsheet...dark, richly grained and elegant. The glossy finish was multi-layered urethane hand-applied, with some drips and drabs here and there, giving it slightly home-make look, but also giving it a :"skunk works' look. The assembly fit and finish were generally very, very good...except where the edge ends met the shovel components. The base was slightly below the edge level at the tips, giving the ski a somewhat unfinished look, although it was solid and completely fine. The slightly cobbled look of the tip assembly might turn off some buyers. 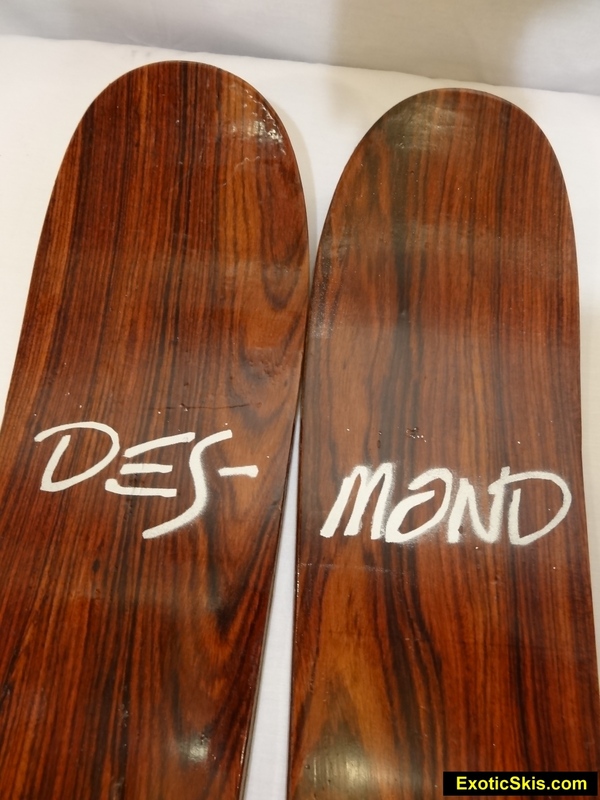 This being a demo test pair with cosmetic blems, we fully expect Steve Desmond;s paying customer products to be perfectly finished...although we have not seen other examples of his skis in person. 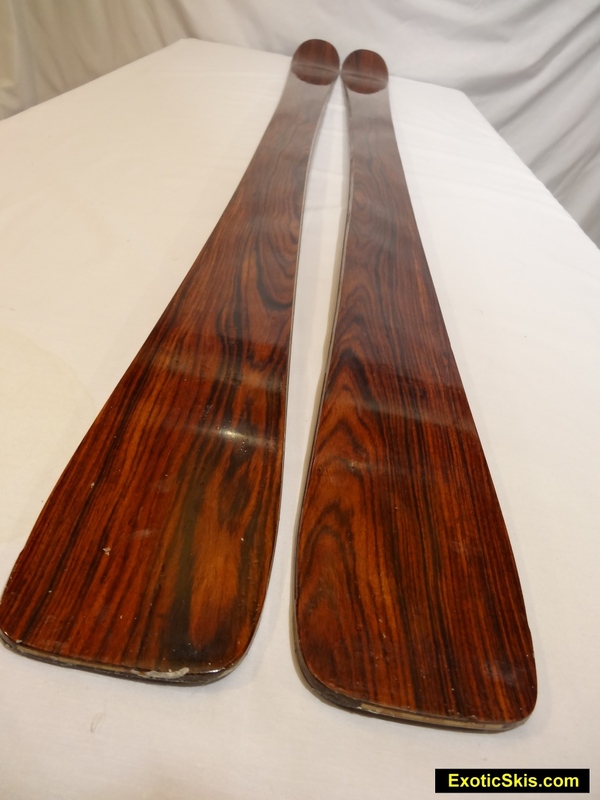 The skis are tightly fitted and well assembled and finished along the base and sidewalls. Our test pair came tuned and ready to roll right out of the box. The flex is moderately stiff, with a nice rebound energy and moderate dampening with a hand test. 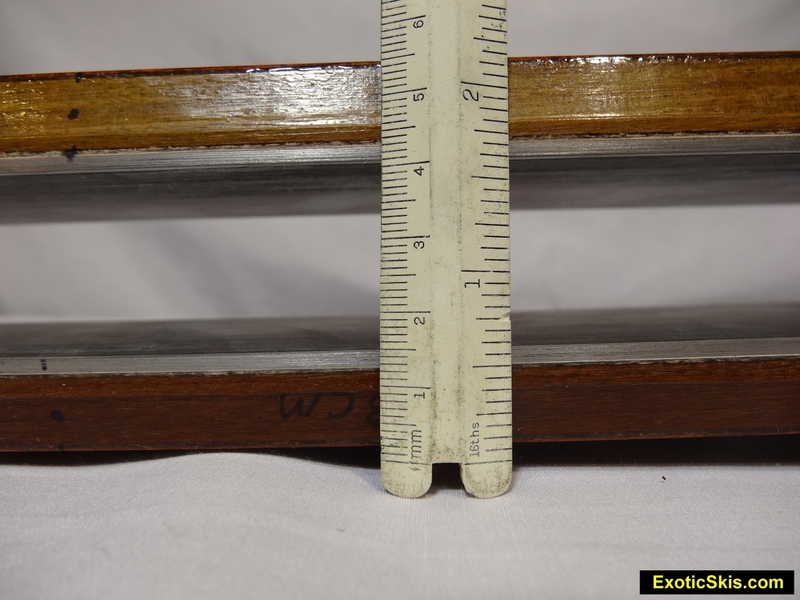 This model has a fairly high level of camber underfoot (see pic below) at approximately 12-13 millimeters underfoot. Torsionally strong. Eastern corduroy, packed powder and hardpack groomers, boilerplate, ungroomed packed powder with small bumps, shin-deep to knee-deep powder conditions, both smooth and bumpy. Windpack, crust, chalky wind buff, fresh and old powder.. The Desmond North Eastern model lives to ride hardpack surfaces with secure confidence, and it etches elegant cuts into the snow at a variety of speeds from very slow to fairly fast with very little effort. 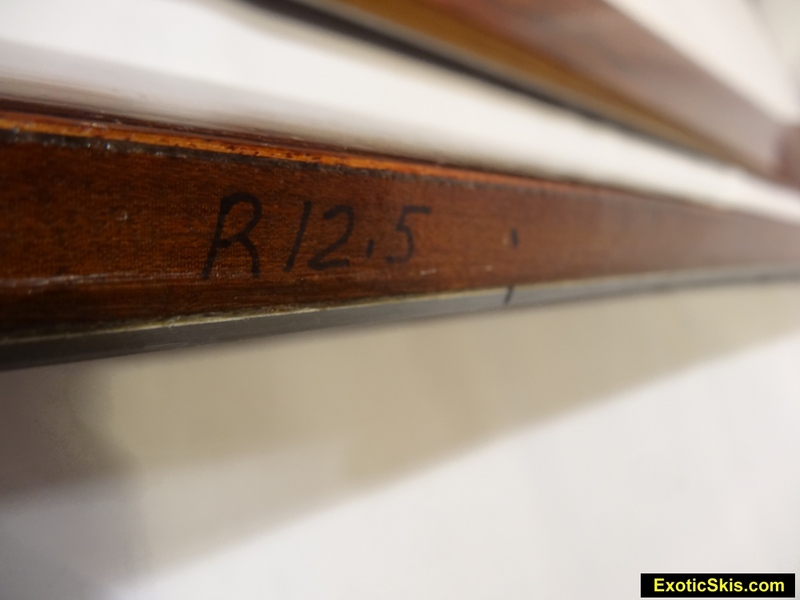 The 12.8m radius can be tightened with a little extra pressure, which the ski handles with enthusiasm. While it carves with very little initial input from the pilot, it can handle substantial pressure and steep edge angles like a race ski and never really gives way...it just bites harder. It begins to feel a little short as you approach GS-like speeds, but never looses it composure. Since it;s only 72mm underfoot with a sub-13m radkus and 168cm length, it lets you know it;s sweet spot is at a particular radius and speed somehat lower for the pressure, speed and angle you have chosen. Some race skis or racecarvers want you to drive them with some gusto to get them to hook up and do their G-force-inducing tricks. Desmond;s North Eastern model can be ridden somewhat passively and it hooks up really, really well, yet responds with authority if you lay into it and drive it into a hard-flexed, high-angle turn with lots of power and speed. Quick edge to edge, the Desmond North Eastern could make tons of carving enthusiasts, corduroy hunters, instructors and intermediates (who might have a slight fear of hard surfaces) grin ear to ear. You don't need to be an expert to ride this ski, yet experts will love it...and that's a tribute to the design. 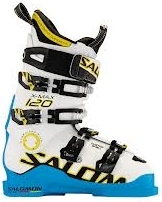 Mixed conditions with any ski measuring a curvy 124-72-108 are best approached wiith agility and an awareness the ski does not have a floatatious personalty. The relatively large shovel can get the forebody up and over some mixed material surfaces with intial ease, but the 72mm waist simply wants to sink into the material underfoot, sometimes causing a slowdown. The relatively wide tail section stabilizes the ski in mixed snow, and you can rely on it to never wash out, but the sinking feeling in softer or mixed snow conditions is simply something you have to deal with. Once you understand you have a racecarver in the mixed snow situations, you learn to stand it up square and use its quickness to pick your preferred lines through the minefields, and this is something the Desmond North Eastern does pretty darn well. It is very responsive and reliable, so you know exactly what it will do and you can count on it to never deliver any surprises in odd snow condtions. The chassis takes hits and shifts quickly and easily, maintaining its course without complaint. The only problem is you might feel a bit trapped "n" the surface if it is soft and really begs for something at least 85mm underfoot. The Desmond North Eastern is very quick in the bumps, and delivers a lively rebound and tons of precision when needed. The tails can hang up a bit (being squared off) in tight bumps. If you flex the ski beyond about 30% of its "normal range" in the forebody in head-on bumps, it can feel a bit abrupt since it has a somewhat stiff carving flex up front...but otherwise is very agile and sporty...but remember, this is a carving ski and as such, has some inherent limitations in bump sections. If you are a line-picker instead of a heads-on bump basher, the North Eastern model is very agile and responsive and can get you through bump fields quickly. If the bumps are very soft or filled with snow, the narrow dimensions underfoot can feel a bit draggy...but that's to be expected. The Desmond North Eastern model in powder is...well...like using a slalom ski in powder. 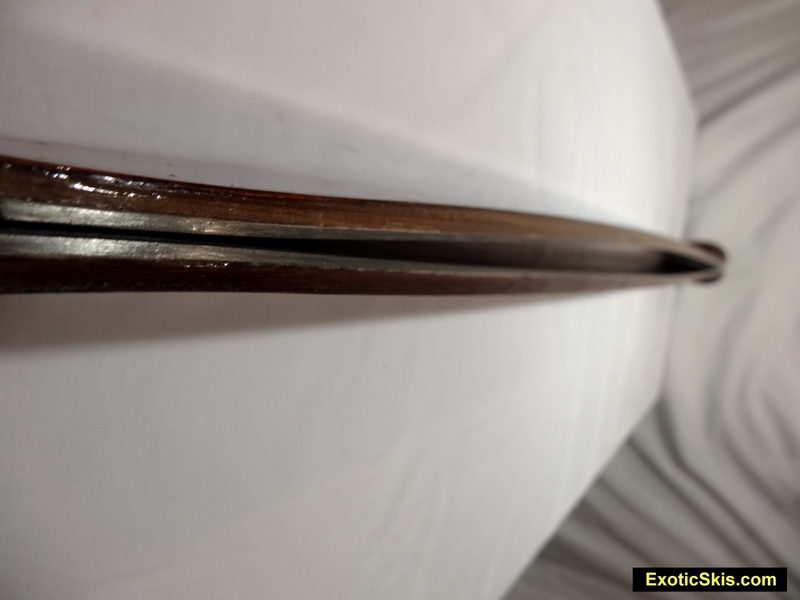 Its narrow dimensions force the ski to sink and with so many great all-mountain and powder-specific skis out there, a skier really has no justification for taking this ski in powder snow since it is a ski dedicted to a single purpose....carving arcs on hardpack. It has no evil traits in powder, but really has no redeeming qualities in three-dimensional snow. A musical instrument designed to play a particular type of song really well. I would maybe provide a bit more race-like snap in the rebound behavior to keep things exciting. It is a smooth-carver, but sometimes a little excitement to keep the pilot on their toes is really fun and keeps the relationship fresh. 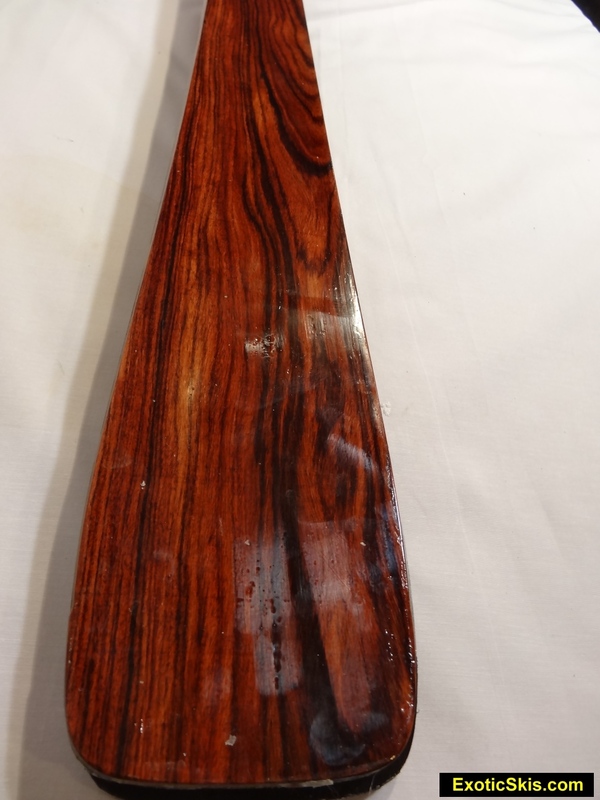 This is a great example of what a classic frontside carving ski can be. Elegantly effective, totally secure underfoot with a great turn shape you can recreate all day long on the groomers with very little effort. This is the kind of ski technical carving enthusiasts and instructors might love. This is not an all-mountain design, and truly comes alive only in its native habitat cutting arcs in firm, hardpacked groomers. Get ready to relearn high-G-force, lateral moves under your body in both directions, but don't worry about being an olympic-fitness specimen to make it do its thing...it skis very easily. 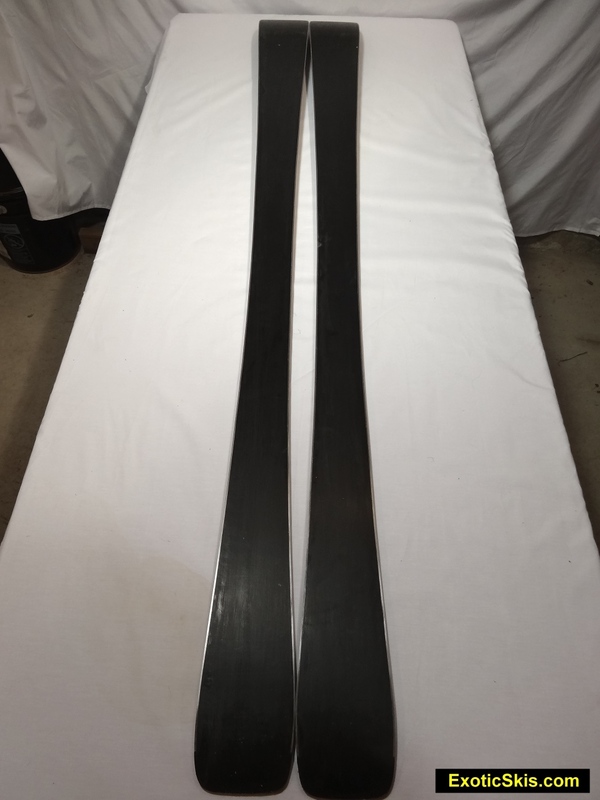 You might see some cosmetic finish glitches in this ski, but they don't affect the performance in any way.